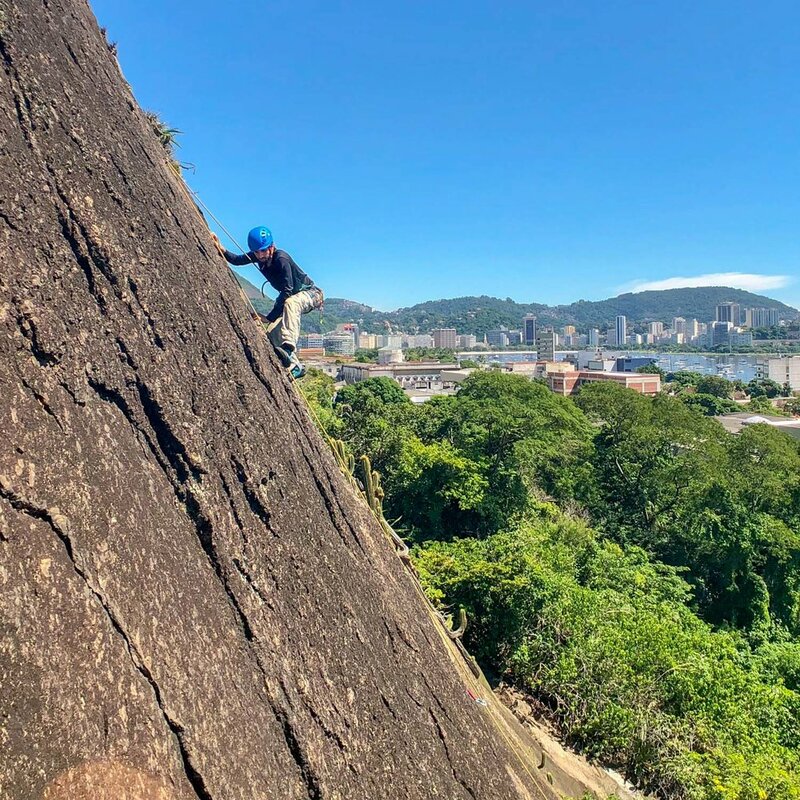 When is the best time of year to climb or hike in Rio de Janeiro? Can I pay in cash on the day of my climb or hike? Are photos included in the prices? Yes! If you would like your guide to take photos of you, let them know at the beginning of your climb or hike. There is no extra charge! Keep in mind, however, that most of the rock climbing photos shown on our website were taken by a photographer climbing together with a guide and a guest. A photographer is able to take photos from a greater range of angles than a guide, who generally can only take photos from directly above the climbers. If you would like to have a photographer join your climb, reach out to us for more information. What should I bring with me on my climb or hike? What should I wear to climb or hike in Rio? I don't need a guide, just equipment. Can I rent from you? Can I lead some or all of the pitches of my route? I climb indoors only. What level can I expect to climb outdoors? Is there a minimum age to participate in a guided climb? Can I participate in a hike that has a rock climbing section if I've never climbed before? What happens if I let go of the rock? Will I fall and hurt myself? Can my child participate as well? Contact us to speak with a guide!